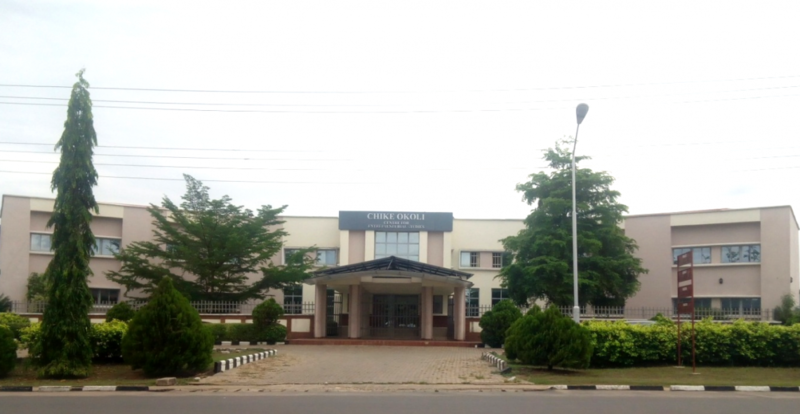 Chike Okolie Centre for Entrepreneurial Studies (COCES) was established in 2007 to instill the entrepreneurial spirit, provide entrepreneurial skills, encourages entrepreneurial attitudes and inculcates the knowledge in both the young and elderly in the society. It was also established in the community served by the University. The Centre runs a two years diploma programme through which students are prepared to be self-reliant through the acquisition of skills which add value to the Society. The diploma programme prepares student for the degree programmes. In addition to the diploma programme, the centre runs short-term Certificate courses in specific skill areas like bag making, bead making, wire works and confectionery, among others. Since 2008/2009, the Centre has been in charge of the University Wide General Studies Course, ENT200: Entrepreneurial education and new venture creation. This course is taken by all 200level students of the university. As an Entrepreneurial Centre, (COCES) ensures that students of acquire utility skills in the preparation of business plans and project execution.